We’re going to get baked AND grilled today. I use sprouted spelt flour as my all-purpose flour at home for the most part. This recipe for easy grilled spelt flatbreads is one I turn to often–mostly within the context of pizza though. I only do the homemade pizza thing when it’s warm enough to grill (and since I’m Canadian, “warm enough” is anything above zero). My opinion is that VERY high cooking temperatures are necessary for good pizza and I feel a lot better about pushing my BBQ to 600° than my oven. Since this isn’t a pizza blog (tears), I thought I’d show off the simple goodness of this go-to dough as a flatbread today…. Just because I take a vested interest in my health and I identify as a vegan, doesn’t mean I don’t want to eat cookies for breakfast like everyone else (and pizza for every other meal, duh!). I mean, I put chocolate in these so they might be a bit indulgent for the early am hours, but I’ve never let that stop me before. They really would be appropriate any old time. 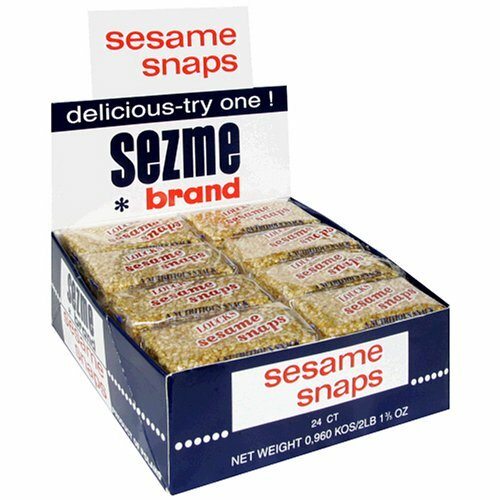 Think of this treat as the happy marriage between sesame snaps and a wholesome granola bar. Plus chocolate, because why not? I’m the biggest hippie-dip I know, so maybe it goes without saying that I’ve tried a lot of homemade granola bar formulations over the years. At this point I’ve figured out what works to achieve ideal snack bar traits: chewy, light crispness, varying texture, well-bound, and one indulgent aspect. No joke: this sesame snap granola bar is the best I’ve ever made. It’s the most cookie-full time of the year! That’s right. It’s December guys, can you believe it?! The countdown to freaking out about the things you didn’t accomplish this year has started…wait a second debbie downer! Let’s instead start a countdown to celebrate the raddest moments of the year, yes? Much better. Over here at Baked we decided to put together a roundup of amazingly delicious cookies to help you celebrate the season (though, these cookies are good during any season!). Get all the recipes after the jump!